The aim of this systematic review study was to investigate the causal relationship between environmental factors and gastric cancer (GC) in Iran. In a narrow definition, the environment includes water, soil, air, and food. This definition was the main criterion for the inclusion of articles in this study. In addition, exposure to radiation and geographical conditions were considered as less investigated environmental factors in the literatures. 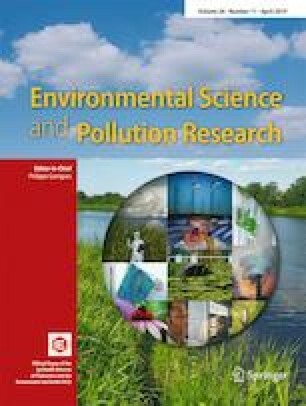 International (PubMed, Web of Science, ScienceDirect, Scopus, and Cochran) and national (Scientific Information Database) databases were searched for articles on GC and environmental risk factors in Iran. Twenty-six articles were found to meet the inclusion criteria after title, abstract, and full text review. Risk factors identified for GC include consumption of red meat; high fat, fried, and salted meat; smoked, salted, and fried foods; some dairy products; roasted and fried seeds; strong and hot tea; and un-piped and unchlorinated drinking water, as well as exposure to radiation, loess sediment, soft and grassy soil, soil containing low concentration of molybdenum, and proximity to volcanos. Fresh fruits and vegetable, fresh fish, and honey consumption were recognized as protective agents. Given the risk factors identified, strategies to prevent GC would be educating people to choose a healthy diet and to cook and store food properly, providing access to safe drinking water, taking into account topographical and geographical conditions in choosing a right location to build residential areas, and regulating the use of radiation-emitting devices. The online version of this article ( https://doi.org/10.1007/s11356-019-04493-8) contains supplementary material, which is available to authorized users. This study was conducted as part of Ph.D. thesis of the first author at Tehran University of Medical Sciences, Iran. This study was supported by the Institute for Environmental Research (IER), Tehran University of Medical Sciences (grant number: 96-03-46-36620).